Updated Wednesday February 6, 2019 by BSC Registrar. 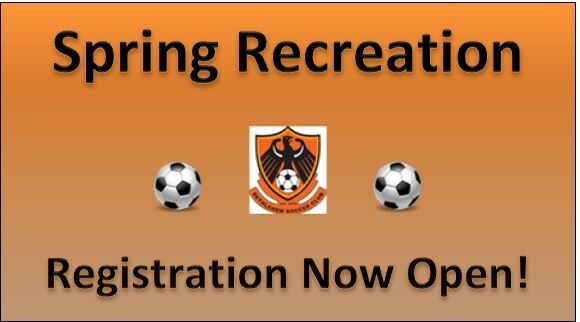 Registration for the Bethlehem Soccer Club Spring Recreation Season is open! ****By request, we have opened a 9th/10th grade division. If enough players register, we will be able to form teams and offer a season of games for this older division. Tell your friends! Register Now!! Saturday May 11th, - Picture Day/Bake Sale. Saturday/Sunday, May 18th & 19th - Bethlehem Invitational Tournament. No game date for that weekend set. Games may be Sunday. For additional information about the program -> click here. If you are interested in signing up, please Register using our online registration system.